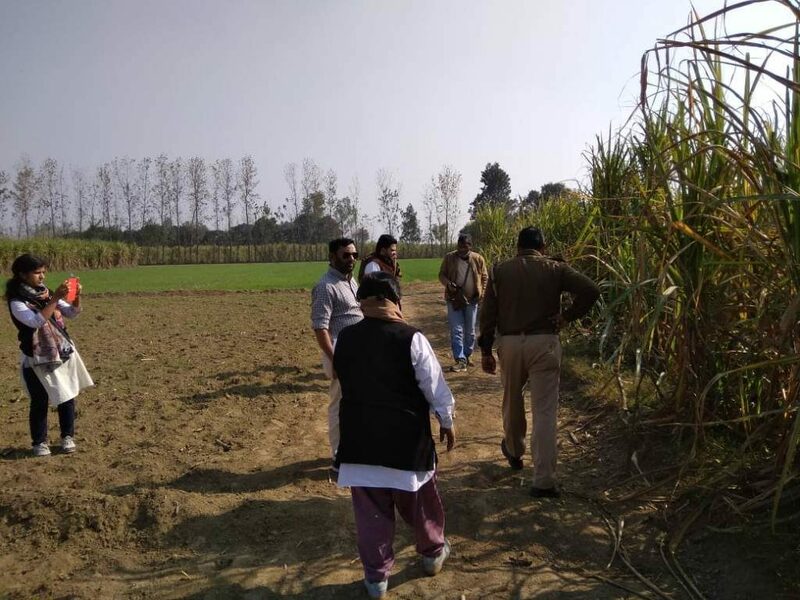 The NCHRO has made its visit to riot hit Bulandshahr where violent right wing mob rampaged through villages murdering two people including a senior police officer on 03-Dec-2018. 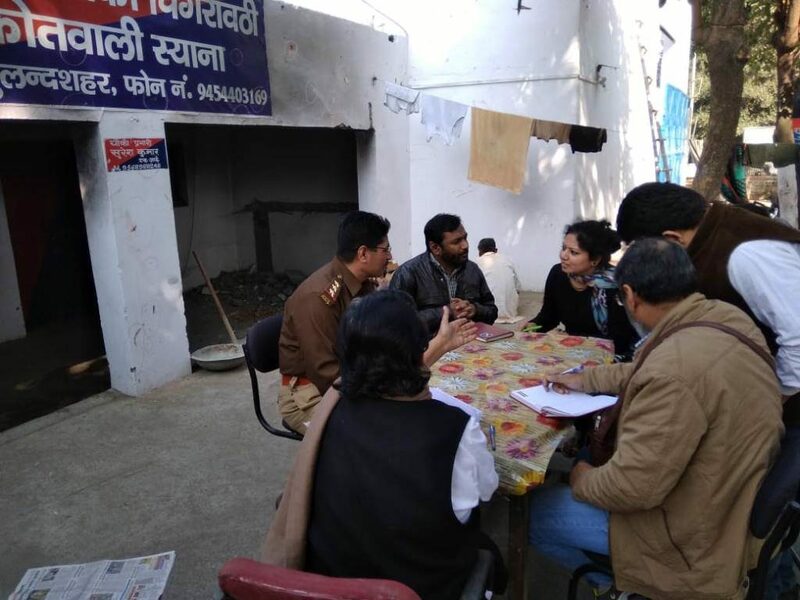 On 14 December 2018, a team of the National Confederation of Human Rights Organisations (NCHRO) headed by Senior Journalist Kiran Shahin and accompanied by Manoj Kumar from All India People’s Forum (AIPF), Adv Ansar Indori Human Rights lawyer and NCHRO Exco Member, Delhi University Professor, Bhavna Bedi, Social Worker, Azeem Naved and Aysha from The Right to Food Campaign visited Bulandshahr, where many vehicles were torched, Brickbats, stones, iron rods, and guns were used for the pitched battle against police. The violent mob rampage, led to deaths of Uttar Pradesh Police Inspector Subodh Kumar Singh and 21-year-old Sumit.Siana Police lodged two FIR’s. One with regard to cow slaughter, in which seven accused have been named, and another regarding the mob violence, in which 27 youth and 50 to 60 unknown persons were booked. The NCHRO team met with villagers, government officials and civil society representatives. NCHRO team members also sought out meetings with local women and elders to obtain accounts of the suffering and difficulties experienced. Results and findings from the visit will be delivered in a detailed report. Senior Journalist Kiran Shaheen noted: Yogesh Raj, the main suspect in the mob killing, currently on the run and a member of the Bajrang Dal was the one who complained to the police on the cow carcasses and demanded action against cow slaughter. “Yogesh Raj exclaimed, around 9 am on Monday, 3rd December, we, Yogesh Raj, Shikhar Kumar, Saurabh etc, had come to the jungles of Mahav village while roaming, there we saw Sudhef Chuadhary, Ilyas, Sharafat, Anas, Sajid, Parvez, Sarfuddin etc. slaughtering cows and ran away after we agitated over it. Anas is 11-year-old, Sajid is said to be 12 years of age, both Minors. The discovery of suspected cow carcasses, creating the ruckus, then violence and targeted brutal killing of a senior police officer all seems pre-planned. The villagers noticed carcass, reported it to police, and the police initiated the action as per law. As the carcass was being taken away in the tractor, some 40-50 youth from outside of the village took charge of tractor and violence erupted, intended to hurt, damage, or kill. It appears to be a cold-blooded murder as rioters had fully armed and they specifically targeted Inspector Subodh. Circle Officer of Siana Satya Prakash Sharma escaped death as police force after being informed rushed to the spot and he was taken out to safety from a locked room. Inspector Subodh could not escape as rioters attacked him with deadly sharp weapons and did not allow the rescue team to take him to hospital. Inspector Subodh was part of the initial investigation into the murder of Mohammad Akhlaq, a resident of Uttar Pradesh’s Dadri village who was lynched by a mob in September 2015 over another incident of alleged cow slaughter. 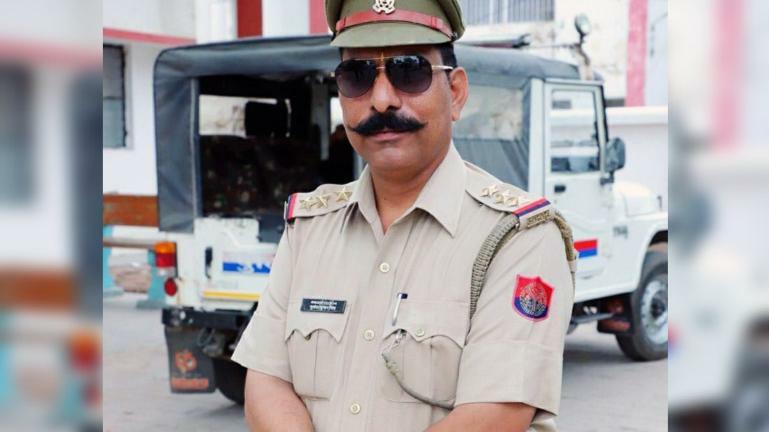 NCHRO Exco Member, Advocate Ansar Indoori said Bulandshahr violence is yet another pattern of probably a planned violence, where the major victim a dedicated police officer itself; yet another victim of cow politics. The police officer’s killing following a cow-slaughter protest was the sporadic acts of violence in India, where Muslims and lower-caste Dalits have been frequently attacked over the issue in the past. The Uttar Pradesh police hinted at a “conspiracy” behind the violence: how did the cattle carcass reach there? Who brought it, why & under what circumstances? Everything should be answered. An impartial inquiry without political claws can reveal naked truths. Objective and intentional factors, spontaneity and planning, chaos and organisation all shows it’s an organised violence. Team member and Professor Bhavna Bedi of Delhi University said that Inspector Subodh Kumar lost his life in order to defeat the conspiracy of the Sangh .The sister of Subodh Kumar Singh, the martyred policeman, said he was killed because he was investigating the brutal lynching in 2015 of Mohammad Akhlaq in Dadri. As India heads to crucial elections in the next year many fear such polarising issues will continue to be raised by the Hindu far-right to mobilise voters. These are disturbing signs of the times, where politics is being dictated by fascists, in which emotive issues are taking precedence over human lives, which does not disturb them so far as these serve own their political agenda of polarisation. 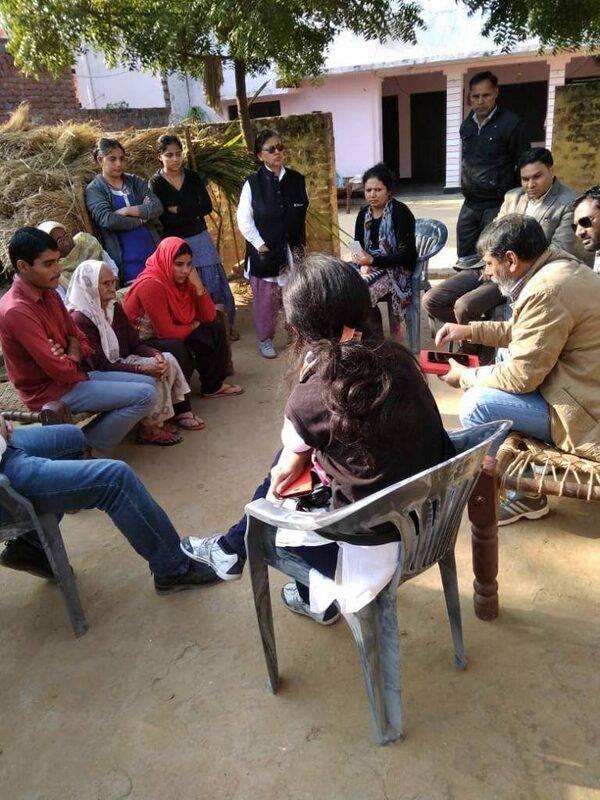 Team member and AIPF Manoj Singh noted ,the villagers who repeatedly affirmed that their village had braved all the communal incidents like Babri Demolition violence, Muzaffar nagar violence, etc. is now fearing for their safety, feeling insecure in the places where they have been living in peace in decades. Even Policemen had to run to their safety. 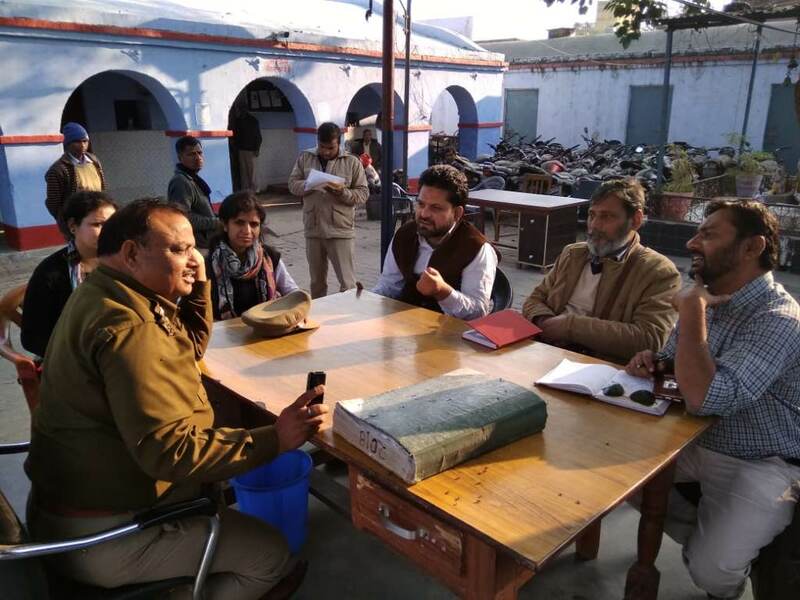 Team member and right-to-food campaigner, Aysha noted that the way the video was shot in the killing of Inspector Subodh Kumar is clear that this mob has got political protection of the government. In today’s environment, the police, the protector of the people itself is not safe. After this violent rampage the future of thousands of children is also at stake, whose parents have prevented them from attending school? There is no sign of cow slaughter at the spot. it is clear that the violence and the murder of Inspector Subodh were done to create an atmosphere of fear in the marginalised community, by executing a pre planned agenda. 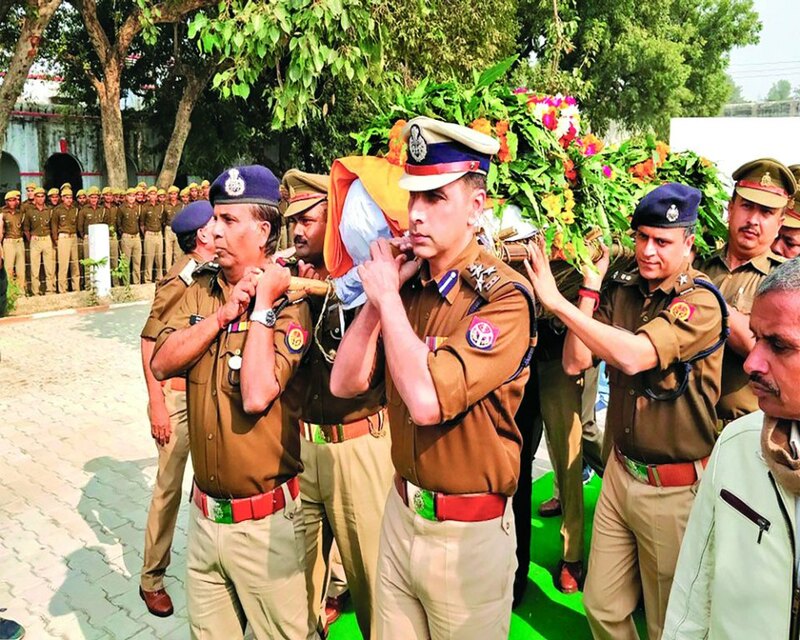 UP police officers carry the body of Inspector Subodh Kumar Singh who was brutally killed by right wing mob in Bulandshahr. Riots can be prevented and controlled when the political will exists.  In this technical era law abiding officers can determine the age of the cow carcass, and can find out whether a dead cow brought in from elsewhere. The motivation and intention of right wing brigade is to divide, enrich, rule and scoot. These are politically engineered riots to polarise voters ahead of next year’s general elections. These are disturbing signs of times where the politics is being dictated. The mobs dominate common people through threats, intimidation and “a culture of violence” that infects entire country and our every day interactions. The NCHRO will release its detailed report in Delhi.